Shop by type of incontinence product below. Idiaper wants to make your time on our site as simple and pleasant as possible. With the wide variety of adult disposable diapers and products by different brands, it can get confusing. Idiaper wants to make your time on the site as easy and simple as possible. If you are here, you are in the Shop By Type section of our site. This section, which includes our incontinence diapers as well as many other products, allows you to look through most of what we have. This section is designed to help people who already know what product they need; or are unhappy with the product they are currently using and want something different; or are first time shoppers looking for product to fill their incontinence needs. Not sure if you want a pullup or a brief with tabs? Each of these sections will show you details on any of the listed diapers for adults. Each adult incontinence product will show you the details, specifications and sizing for that particular item. Simply click the type of product and search the different products available. Not quite ready for a diaper or brief yet, then click into the pads section. This adult disposable diapers and products section will show you all of the pads available with complete details as to the absorbency, sizes, and shapes. The details will tell you if there is a barrier sheet which allows you to wear the pad with normal underwear; or is the pad a flow through type which is designed to be worn with your current diaper or brief. Simply find the product you are interested in and click. You will also find some unique incontinence diapers in this Shop By Type section. The male products are designed specifically for the male body form and coverage needs. These products are designed specifically for the male who is experiencing the need for coverage but the simple pads do not work. The belted garments section will show you the products designed for those who want more air flow to their skin or plus sizes. Click on the product you have an interest in, and you will find all the specifications, details and sizing available. 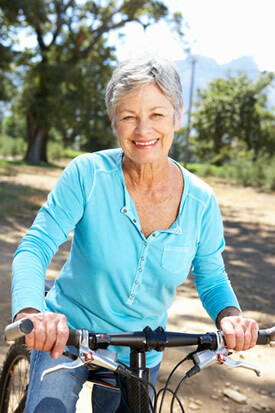 Many people are surprised by the vast amount of product available for incontinence needs. They haven’t seen most of the products because they have only seen what is available at the local store. Idiaper carries a wide variety of products from light pads to full diapers and briefs in almost every imaginable size. Idiaper carries products for those whose require the plus sizes which can be difficult to find. The variety of products available can be overwhelming, especially for the first time inquirer. Assess what type of needs you have and go from there. The idiaper site is designed for ease of use. You can Shop By Type, brand, coverage, and special needs. If you get lost, or confused, or can’t find the product you are looking for, give our idiaper staff a call or email. The staff is on the site and will help you navigate to the correct products for your needs. They have many years of experience and are happy to help in any way possible. But idiaper hopes this site will answer your questions with ease and simplicity.